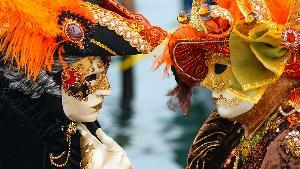 Prize: Winner and Guest will be flown out to Venice, Italy for the Carnival Ball and put up in 4-star hotel for five nights. Package also includes VIP entry and a welcome cocktail at Opening Show, dinner and open bar at the VIP lounge, and $1k cash ($13,000). Statistics: This contest was opened by 280 and entered by 48 ContestChest.com members. 17% of those who opened the contest, entered it.